As the seasons change and another year winds down, we look ahead to consider some of the key eCommerce technology... "5 eCommerce Technology Trends That Will Shape The Future"
The modern payment processing ecosystem is a complex network of consumers, merchants, banks, and payment processors. The past decade has... "The Future of Mobile Payment Technology"
Essential Merchant Services & eCommerce Growth in Ireland In just a few short years, the global eCommerce market has grown... "How Ireland Is Sustaining Steady eCommerce Growth"
Implementing The Best Online Merchant Services The US and European markets are not only intrinsically linked; they are also the... "What’s Next For European eCommerce?" The Case For Forward-Looking Mobile Wallet Providers Every year, more and more people utilize digital wallets to store credit card,... "Why Mobile Wallets Are Gaining Popularity"
Billed as the future of real-world payment technologies, the jumpstart of digital wallets or "e-wallets" have put real-world pressure on... "Why Secure E-Wallets Are Gaining a Competitive Edge"
Automated Clearing House, or ACH, is an electronic network that facilitates financial transactions. Some of the most common uses for... "How Comprehensive ACH Processing Saves Your Company Money"
New Online Merchant Services: eCommerce Game Changers Or Just Passing Trends? eCommerce only continues to grow. In the first quarter of 2017, US eCommerce sales totaled $105.7 billion. That’s an increase... "New Online Merchant Services: eCommerce Game Changers Or Just Passing Trends?" How Will the EU’s Shifting Partnerships Affect ForEx Trading in Europe? It’s no secret that in the past few years European politics and policies have experienced a rollercoaster of party changes,... "How Will the EU’s Shifting Partnerships Affect ForEx Trading in Europe?" 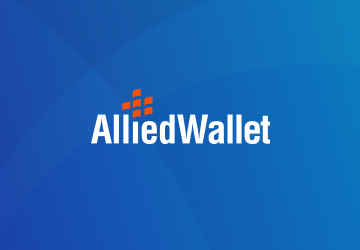 The steps involved in online payment processing have significantly reduced the waiting period and hassle when purchasing commercials products and... "Payment Processing – A Timeline of Steps Involved in Online Payment Processing"
In June 2017, Allied Wallet was awarded by The Silicon Review as part of its annual Silicon100 awards. The Silicon... "Allied Wallet Awarded as a 2017 Silicon 100 Company"
If your startup will earn online revenue this year, there are four essential pieces of the digital puzzle to put... "eCommerce Online Merchant Services For Startups in 2017"